Uh, no! 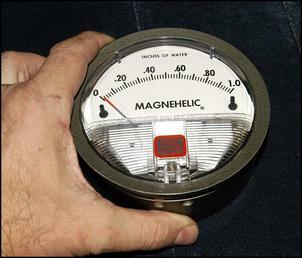 At 45 degrees, one inch on the scale will be about 0.7" vertically (the square root of 0.5 to be precise). You'd need to incline 30 degrees from horizontal to get 0.5" vertical displacement. Remember your trigonometry?! Thanks for the email and for pointing that out – article fixed! 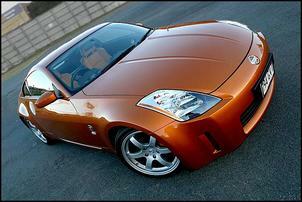 I think you somewhat missed the point with the 350Z New Car Test - Nissan 350Z Track – it’s the TRACK version. It is designed primarily for those that want to use it on the race track with little modification! (NO I don't own one.) You are obviously biased towards Holdens - this comes out loud and strong in your article. Also, like a lot of people, you mistake HSVs and other FOUR door cars for sports cars. A sports car has always been (traditionally) a two door relatively compact vehicle. The others are PERFORMANCE cars and will never be true sports cars in the true meaning of the name that was coined back many, many years ago when they were first designed and produced. 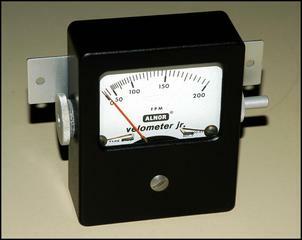 The Driving Emotion about the Alnor Velometer (Driving Emotion) is the reason I subscribed to AutoSpeed. That is one of the many articles (including the fusion intercooler) that really got me thinking. I'd like to say "give me more!" As well as the praise, I’d like to query A.Non’s statements about window tinting. Although front windows aren’t usually tinted (I thought it was illegal unless the glass itself was tinted) many cars have window tinting. I have driven a few cars with very dark window tinting and have never experienced these feelings of motion sickness. Although I have never had motion sickness I still do not understand how window tinting can cause these problems. Possibly he should get his eyes checked? As far as suicidal tendencies go, well that is way out of my league, so no comment. Glad you liked it. Re Mr A.Non... well, we’re not quite sure what to say! A classic email nonetheless. 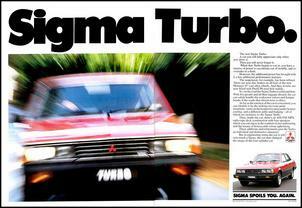 Why don't you contact MMAL when you want to write about the Sigma Turbo rather than guess how it was done? The Early Days of Turbo - Part Five For example, the low compression ratio came from a special head - not new pistons. The cam was from the 2.6-litre engine. Radiator was also from the 2.6-litre, but with covers to reduce recirculation of hot engine bay air. We didn’t “guess” but you make a fair point – we should have contacted MMAL. As you’d be aware, there’s not a lot of info around the place on this classic turbo car. Can you please help me where I can find an AISAN carburettor from a Daihatsu Charade CB60 turbo engine? I want to install a turbocharger to my Charade CB23 motor. Try Adelaide Japanese Dismantlers (www.adelaidejap.com.au) - they send of lot of parts overseas. Finally!!! I was thinking about this very same idea this morning as I was driving to work after seeing one rear-end accident on the side of the road, and another rear-end accident happen because of the other! Thanks for the great article! Keep up the good work!! Hardly a perfect vehicle in all aspects, but here in the ‘States it finds little competition in the medium/luxury SUV class. I have read numerous reviews in traditional automotive and 4X4 publications and yours takes the prize for being the most negative - by a wide margin. I tend to believe you had a faulty vehicle. Keep in mind I have a 2002 model without VSA but with the same Michelin tyres that I believe are fitted to Australian MDXs. 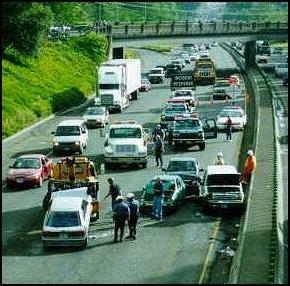 Not having VSA, I have never experienced the response of the vehicle under all conditions to make a fair comparison. But I don't believe 4X4 is necessarily the answer either. Many 4X4s do not do as well as the MDX under slick ice and snow conditions on regular roads. And those are the 'conditions' I would be most concerned about. Being able to encounter such roads – and driving at reasonable speeds - without having to shift into other modes suits me just fine. I have also driven the MDX quite aggressively on dry mountain roads. It was easy to find the limits and keep ahead of any vehicle with another few hundred pounds of transfer case hanging from its chassis. Well, that's my impression - and seems to fare quite well with other reviews I've read as well as other owners I've met. Like I said, not a perfect vehicle, but in the world of SUVs has more than earned its place among the better ones - at least on this side of the globe. A number of points need to be considered in responding to your email. Firstly, it appears from your email that you own a Honda MDX. This means at least two things: (1) that you thought the vehicle worthy of purchase, and (2) that it is very likely that any criticism of the car is viewed as an affront to that decision. Me? I couldn’t care less if the car is good or bad – I have no vested interest in writing a negative or a positive test. Any impartial observer would therefore conclude that my opinion is likely to be far less biased than yours. - The car has excessive understeer. Note that I specifically said ‘understeer’, that is, the car lacks handling balance. - The stability control does not appear to reduce this understeer in a way in which it does on other cars, including Honda’s own Accord Euro. - The steering is not sharp. - Due to the soft suspension, in real world driving the ground clearance is much reduced over the stated specification. - The four-wheel drive system is such that wheelspin can still occur. - During the test the engine could be heard detonating at times on premium unleaded. - The sound system distorts at relatively low levels. - The climate control outlet temperature does not reflect the set temperature. - The third row of seats has extremely tight legroom and is difficult to access. If you could address the points that were actually made in the test, I think that the discussion would make a lot more sense. 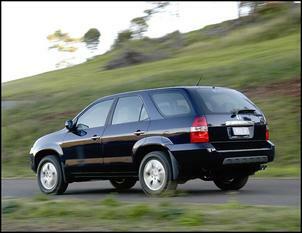 Note that since the test of the MDX we have also driven the Lexus RX330 – New Car Test - Lexus RX330. That car, although it doesn’t have an engine as nearly as strong and sweet as the MDX, betters the MDX in pretty well all of the above points, although I think that the RX330 can still be criticised fairly strongly.